Simply tap to pay for your rides with your NETS Contactless cards. 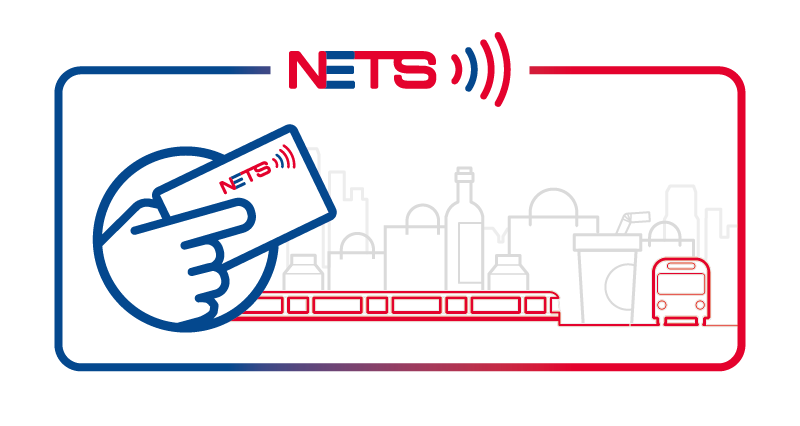 You can now use your NETS cards with contactless functionality to pay for your bus and train fares directly. This is currently in pilot phase with LTA. You will need to sign up for the pilot to enable your cards for rides. You will receive an email notification* upon successful registration. The notification will also include the date from which you can begin to use your card at transit points. *It may take approximately 2 to 3 weeks to receive this email. You are eligible to apply if you have the following cards with the NETS Contactless Logo. Which NETS cards can I register for this pilot? At the moment, only DBS/POSB, OCBC and UOB NETS contactless card users may participate in the pilot. NETS contactless cards display the following symbol on the front of your card. How do I register my NETS contactless card for the pilot? You will receive an email notification upon successful registration, approximately 2 to 3 weeks from the date of registration. The email will indicate the date which you can begin to use your card for transit. You will also receive an email with instructions to login to the TransitLink ABT Portal, where you can track and view your journey and fare history. The transactions will be processed and charged with the merchant descriptor name - BUS/MRT. Depending on your Issuing Banks, postings may not be reflected immediately in your account. Fare charges will be accumulated for up to 5 days or after a total of $15 is spent on transit fares, whichever is earlier.To view the breakdown of the aggregated fares, please log into the TransitLink ABT Portal or TransitLink Mobile Services app.